How many ways can you wrap a gift? 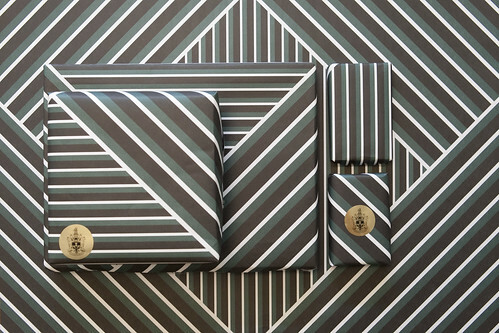 For this gift wrap, we took the client's corporate colours and stripes to create a pattern that allowed the user to play with creating new geometric patterns by varying the parts of the paper used or its orientation. The institution's identity is further reinforced with a gold-foil sticker bearing the institution's crest that can also serve as a seal for the wrapping.